Diaspora Ministry finds 70% of attacks tied to anti-Israel sentiment, singles out UK where phenomenon has reached ‘all-time recorded high’; Bennett urges governments around world to take action. Anti-Semitism around the world reached record highs in 2018, according to a new report released Sunday by Israel’s Ministry of Diaspora Affairs, to coincide with International Holocaust Memorial Day. The 2018 Global Anti-Semitism Report details anti-Jewish sentiment worldwide, and presents the Disapora Ministry’s major initiatives to combat and monitor anti-Semitism around the world. 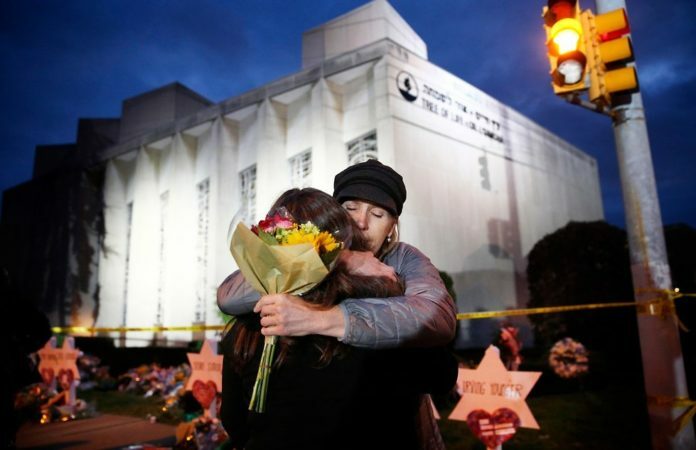 According to the report, 13 Jews were killed in three separate deadly anti-Semitic attacks in 2018, which the ministry says is the highest number of Jewish fatalities in racially motivated attacks since the Argentine Jewish community was targeted in the 1990s. Presenting the report to the cabinet on Sunday, Diaspora Affairs Minister Naftali Bennett highlighted the rise in attacks on Jews around the world, and urged nations to act against the phenomenon. The report also found a direct link between anti-Semitic attacks and anti-Israel sentiment, saying that “70% of anti-Jewish attacks were anti-Israel in nature.” It said anti-Jewish incitement was at its height during the May 2018 move of the American embassy in Israel to Jerusalem and during the frequently violent Hamas-led protests at the Gazan border fence with Israel. The document also cited a European Union survey that found that 85% of European Jews believed anti-Semitism to be a problem in their countries and that 89% of respondents thought there had been a rise in anti-Semitism in their countries in the last five years. As a result, the survey found, 38% of European Jews had considered or were considering leaving the countries in which they lived. Meanwhile, a new survey released Sunday found that one in 20 adults in Britain do not believe the Holocaust took place. The poll of more than 2,000 people also found that nearly two-thirds of those polled either did not know how many Jews had been murdered in World War II or greatly underestimated the number killed during the Holocaust. The survey was carried out by the Holocaust Memorial Day Trust. Chief executive Olivia Marks-Woldman called the results worrisome.